Earlier today, Turkish police launched a massive operation to detain 394 people over alleged connections with illegal online sports betting organization. As reported by Hurriyet Daily, this has been the largest simultaneous operation on illegal online betting services in modern Turkey’s history, with arrest warrants having been issued for more than 390 people. 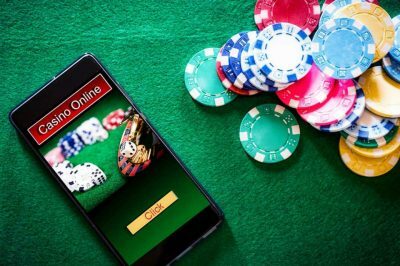 The raids were launched by Istanbul Security Directorate’s Cybercrime Division Branch in 40 provinces for violation of online gambling laws and regulations. About 5,000 police officers have taken part in the action. Reportedly, about 42 million Turkish liras in cash were confiscated by cybercrime units, in addition to €133,000 and $94,000. As revealed by the Division and the police officers who took part in the raids, the illegal online gambling sites had generated an overall amount of approximately 3.5 billion Turkish liras. The Government’s operations targeting illegal betting dens and gambling rings are still in motion. Cybercrime fighting units found that 72 shell companies were established in logistics, cosmetics and food sectors to serve as a cover-up to unlawful gambling services and betting activities in various sports events. As part of the investigation, 849 individuals and more than 4,340 bank accounts linked with the suspects were subject to financial analysis. According to findings, the total money traffic was worth 2.145 billion Turkish liras, €9.366 million, $12.120 million, 1.8 Turkish liras worth gold, 7 million Russian rubles, as well as smaller amounts of Canadian dollars, British pounds and Swiss francs. 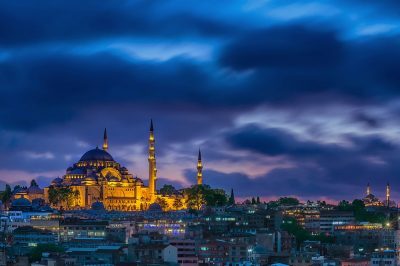 For some time now, the Turkish Government struggles to impose stricter measures on illegal betting operations, as currently there are many people who bet on football and see gambling as a way to earn some money. The efforts of the local police to fight illegal online gambling operations have been one of the paramount goals of the country’s authorities since the middle of 2017. Last year, the country rolled out a law set to facilitate the seizure of revenues generated by illegal betting organizers. The latter, however, managed to avoid the scrutiny on bank accounts. The local authorities have joined forces with banks to detect accounts used by criminal organizations and for gambling purposes. A year ago, in February 2018, it became clear that around 5 million people in Turkey gamble illegally. According to reports, the country’s underground gambling industry was estimated to approximately 50 billion Turkish liras at the time. Last February, 100 people got arrested by the police on allegations of facilitating unlawful online betting operations after a number of simultaneous raids across nine provinces of the country. At the time of the February 2018 raids, 418 enterprises were forcibly closed and more than 620 people were detained as a result of the three most recent operations.